An LED surface light is a surface mounted downlight in which the entire light fixture is mounted on the surface of the ceiling. LED surface mounted downlights can be used as a single light right in the middle of the ceiling, or can be use like recessed downlights and scattered across a room to provide lighting for the entire space. Why Choose A LED Surface Light? 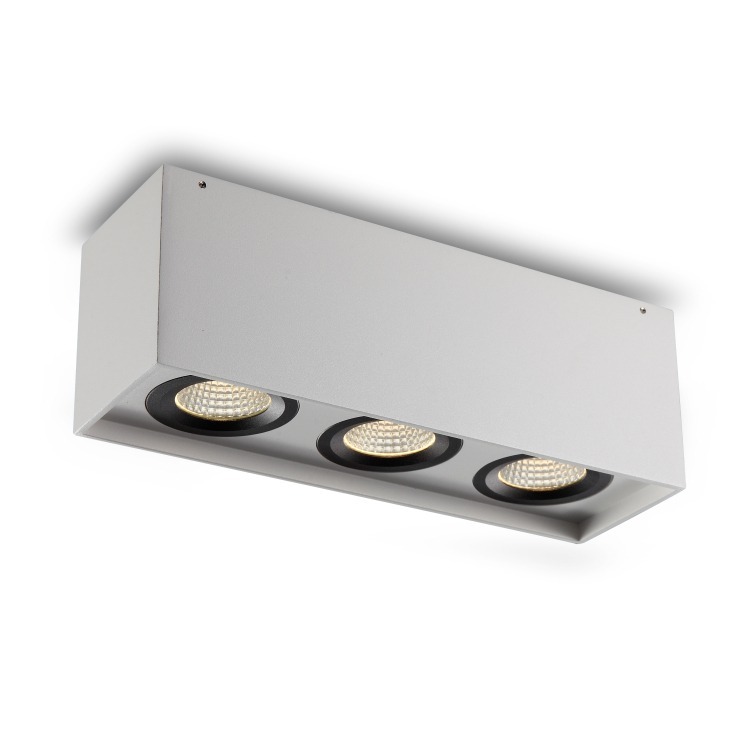 Recessed ceiling lights are extremely popular, but surface ceiling lights are also popular in certain situations. Many people and businesses choose LED surface lights when they want the effect of their ceiling covered in miniature spotlights, but the ceilings are too high for recessed lighting to work properly. Other people prefer surface lights because they are less expensive to install than recessed lighting since you don’t have to cut holes in the ceiling to install surface ceiling lights. Still other people or businesses others choose surface lighting simply because they think the fixtures are aesthetically appealing. Who Uses LED Surface Lights? LED surface lights can be used in a variety of places such as in homes for kitchen or basement lighting, in hotels for lobby lighting or a single linear surface mounted light may be placed over the guest room mirror. LED surface lights may also be used in hotel and restaurant kitchens or dining rooms, or even in pubs. You can use LED surface lights just about anywhere where you would use any other downlight or set of downlights. LED mounted downlights are long-lasting normally lasting years before the light needs to be changed. LED surface lights are energy efficient since they use waste about 80% less energy than more traditional light bulbs. LED surface ceiling lights are also 100% recyclable so they are much better for the environment than more traditional lighting options. Since the LED bulbs don’t need to be changed these lights require less maintenance than other types of lighting. Here at Ultra Bright Lighting we can meet your LED surface mounted downlight needs. All of our LED lighting uses the very latest in LED technology and are made from the highest quality materials. Our ultra modern designs are perfect for both home and commercial use. With so many different styles of LED surface lights to choose from if you find it difficult to choose the right lights to meet your needs, then one of our lighting experts will be more than happy to advise your based on your needs. Why not visit our website and check our what we have to offer in surface mounted downlights. If you would like to place an order you can give us a call at 0800-678-5156. Like with all lighting surface downlights should be installed by professional electrician.